WATERBURY, Conn.—Waterbury, a town of over 109,000 along the Naugatuck River, is the tenth largest city in the New York metropolitan area. 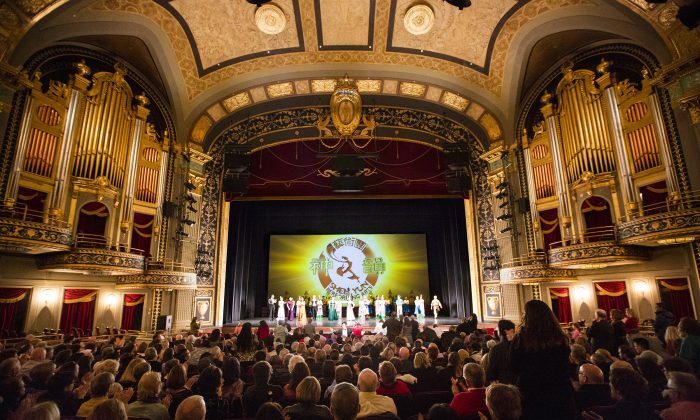 At the Palace Theater, hundreds of those 109,000 residents got to see Shen Yun Performing arts on its opening show on the afternoon of Saturday, Feb. 7. For Jerome Howard, president and founder of Howard Financial Corporation, a financial consulting firm in West Hartford, Conn., Saturday’s performance was his third time seeing Shen Yun. Formed in 2006, Shen Yun presents classical Chinese dance and music to preserve and revive China’s divinely inspired culture—one that has carried on for 5,000 years and only in modern times, under Communist rule, has been threatened. Mr. Howard, who had visited China before, recognized the universality of Chinese culture in Shen Yun’s performances. Mr. Rausch is president emeritus of Lincoln College of New England, formerly known as Briarwood College. Since the communist takeover in 1949, China has experienced systematic and devastating loss to its traditions, which are rooted in the beliefs of Buddhism and Taoism—centered on the idea of harmony between heaven and earth. Art under Communist Party has not been allowed to carry this ideal. Shen Yun’s performances weave a tapestry of heavenly realms, ancient legends, and modern heroic tales, taking audiences on a journey through 5,000 years of Chinese culture, according to the Shen Yun website. Having seen such a display of Chinese culture as it once was, “I appreciate it even more,” said Mr. Rausch.